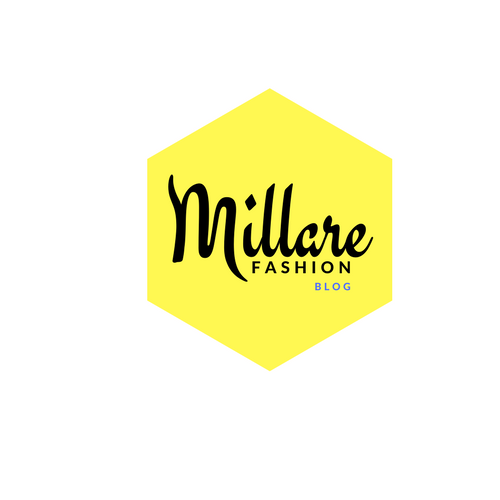 MILLARE Fashion: MEET THE GLAM TRIO: Michelle Dede, Didi Ocheja and Fade Ogunro . MEET THE GLAM TRIO: Michelle Dede, Didi Ocheja and Fade Ogunro . In recognition of the thriving Nigerian Fashion, Beauty and Lifestyle industry with local practitioners gaining tremendous visibility across various international platforms, Glam Networks announces Glam Report TV – a 30 minute chic and fast-paced fashion, beauty and lifestyle television magazine show. Glam Report TV intersects home and foreign territories to aptly meet the needs and preferences of the trendy youth and working class Nigerian. 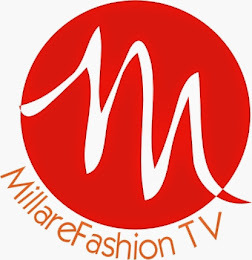 The show aims to facilitate the positioning of the Nigerian Fashion, Beauty and Lifestyle Industry and its players on a broad spectrum by educating, entertaining and inspiring trendy urban dwellers. 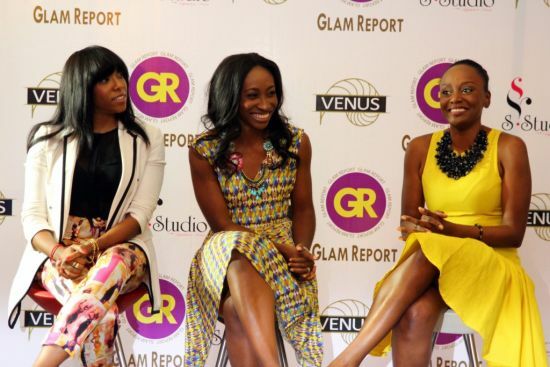 Glam Personality: This segment uncovers power entrepreneurs in the Nigerian Fashion, Beauty and Lifestyle industry. It highlights their brands, competitive strength, typical work day, the glitz of their careers and their personalities. Glam Spotlight: This segment focuses on players within the Fashion, Beauty and Lifestyle industry under the age of 32 who have thrilling careers. It aims to inspire the audience. Glam Access: This segment goes behind the scenes of the most exciting and high profile photo shoots, fashion, beauty and lifestyle events. It also features the hottest celebrities revealing their style secrets. Glam U: This is an interactive DIY segment that provides cutting edge information and tips on skin care, grooming, style, beauty and fashion. The segment’s sponsors, VENUS, anticipate that it will “encourage our consumers to have and live a better lifestyle”. The host will be Michelle Dede, Didi Ocheja and Fade Ogunro. 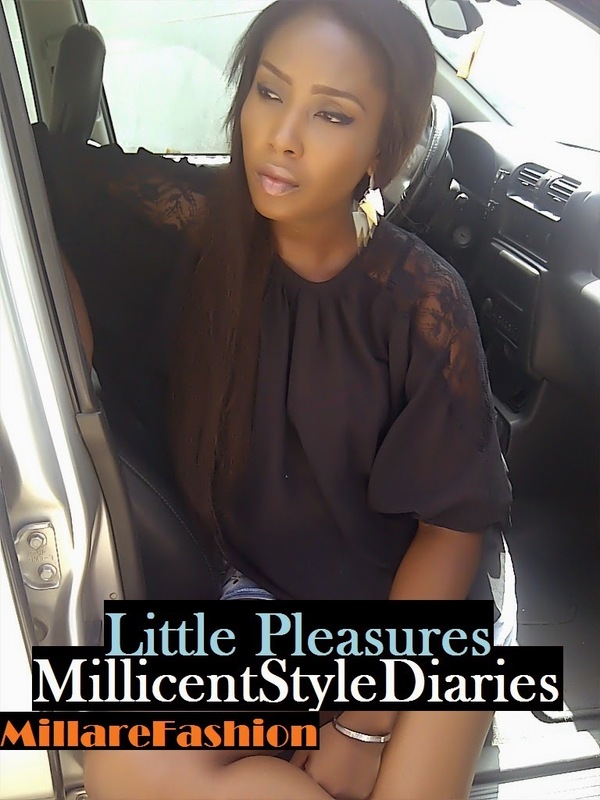 Armed with years of experience in their areas of expertise: Michelle, a TV and live-events presenter with “Big Brother Nigeria” and MTN’s “Family Game Show” under her portfolio; Didi, Creative Director of Didi Isah Accessories and was the prior Executive Brand Director for Miss Nigeria and The Creative Director of the Miss Nigeria reality show; and Fade, a multilingual radio presenter at the Beat99.9Fm and TV producer. The vivacious and versatile trio adequately set the tone of what promises to be most invigorating beauty, fashion and lifestyle TV show to infiltrate our everyday lives. Glam Report TV will air on AIT, DSTV’s Africa Magic and other local channels.